Elephant are myopic but don’t aproach more than 20 metres they are good at smelling. I’ll tell you what to do when we see lions, personallay I prefer only the lions with full stomachs to get close. Actually, lions don’t usually attack humans even if they’re hungry, I suppose our meat is not good as bufallos’. Our tracker quickly told us what should we do while walking on the island before he bounded the boat to dock. The place that we’re in is a small region where Okavango river and Kalahari desert meets in the north of Botswana. Okavango river passes Nambia first after it’s beginning at the south of Angola and here it enters to Botswana boundries. It’s aim is to reaching a sea like all other rivers but in Botswana, a wild competitor welcomes the river: The desert of Kalahari. 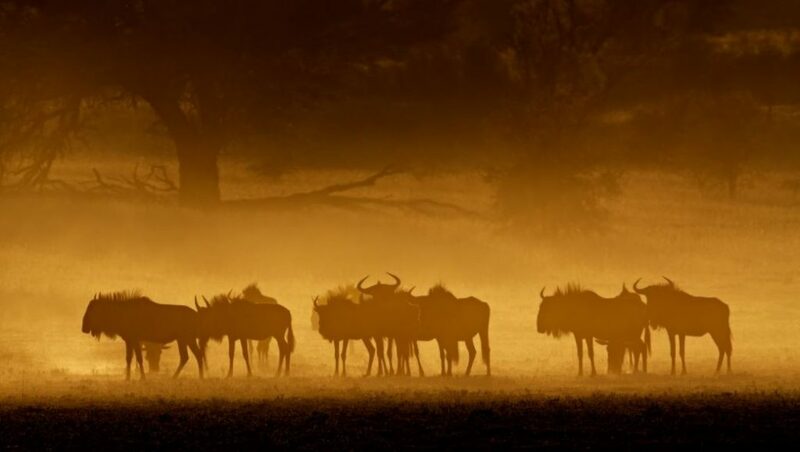 Okavango attacks to the desert with it’s water from 1600 kilometers away and says “I’ll pass you!” Kalahari is calmed: “We saw many of your kind, try it then.” The magestic war of Kalahari desert and Okavango river starts at the north of Botswana. It’s not clear that who wins this war in where, the river spreads into a 15000 km2 area; some splaces are full of water, some of are deserst or swamps. The river tries everything to pass Kalahari but that’s not possible. Kalahari is the winner; the mighty Okavango river dissappears into the earth before reaching a sea. The name of this interesting region where water fights against desert and loses is delta of Okavango. Okavango river’s journey for sea ends in this place but even it’s dying the river gives life: depending on seasons, elephants, buffalos, crocodiles, hundreds of bird and fish species, anthilops, zebras, giraffes, hions, leoppards and chitas live. Height of water changes according to seasons and rains in Angola, so there are no way and not comfortable for human life. Because of that natural life is exteremely energetic and animals can walk around the delta without the fear of humans. Like I said, travelling on the land is not possible so there are two other options: Water or flight. Water canals of delta might change from season to season and not secure. You should travel with well experienced locals. If you book a place from the camps in delta your only option to arrive camp is a plane taxi. Usually plane taxis are little engine planeurs for 5 passengers and they fly from the city of Maun near Okavango delta. Every camp in delta has it’s own landing space: they’re not airpor style hangars, just little plain spaces within the greenery. Pilots inform camps about their arriving time, with thi way they pick up passengers for opposite direction. It’s normal to have two or three landings before your destination. Since it’s so difficul and expensive to carry building materials inside the delta, camps are built with portable matearials. There are big and luxurious tents in guest area and things like double bed, bath, closets and other stuff fit perfectly. There are not any fences around the camps so animals can easily come where we stay in anytime. It’s possible to walk inside the camp alone but when outside is dark, the camp management doesn’t want you to walk around alone. You ask for trackers before, when the time comes they pick you up. 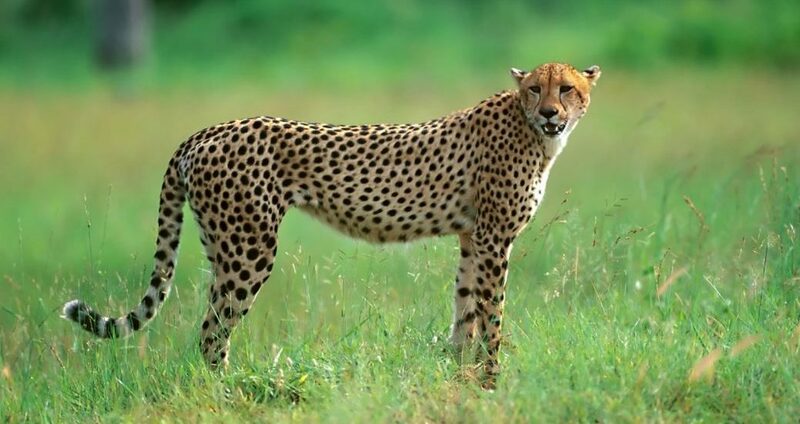 It’s possible to experience perfectly how loud is nature at nights: Hipopotamus growls are coming somewhere close, you understand they are lions moving right ahead from roars, jackals starting to howl in the middle of the night as if they are under your bed. When you hear all these voices, you understand whey they don’t want anyone to walk around at nights. Naturally the camp that we stay is located on an island in a swamp. Except the animals in water most of the species that we want to see live on these little islands like ours. In the morning, we hit the road with our tracker by a boat. Our trackers tells about the five island that we’ll travel for three days, general rules and advices on getting close to animals. If we contact with lions, we have to choose the full ones, that’s on my mind! How can I understand that if it’s hungry or not? Our tracker doesn’t carry any arms not even a pocket knife, he only has a long stick. When I see the other armed trackers, I ask him why he doesn’t carry any arms and he says: “The gun makes the carrier stupid. You trust to your gun and get dangerously close to animals, when it attacks you, you have one bullet. You or the animal dies. But when I don’t carry gun, I don’t exit the secure area where both of us feel all right.” Not everywhere on the island is dry, some of the places are swamps. When we’re at the swamps, pulling your pants, taking of your shoes and diving in is the only chance. There are no chance to clean your feet up after the swamp, take on your shoes and go on. After four or five times like that, inside of the shoes becomes more dirty than the outside. I give up! No more shoe take off in swamps. Do you play dung ball? It’s important to securing your own area for food and therefore for life in the wold of animals. The lions who fight for death to secure their own places, we all hae seen animals like leoppards, anthilops, babboons on documentaries. In fact this instinct of protecting their regions is appearing among almost every mammal to prevent others from entering their region by urine and stool. Since there are so little dry areas in Okavngo and very much animal population, you need to be careful when you’re walking on islands because all the animals sign different places. 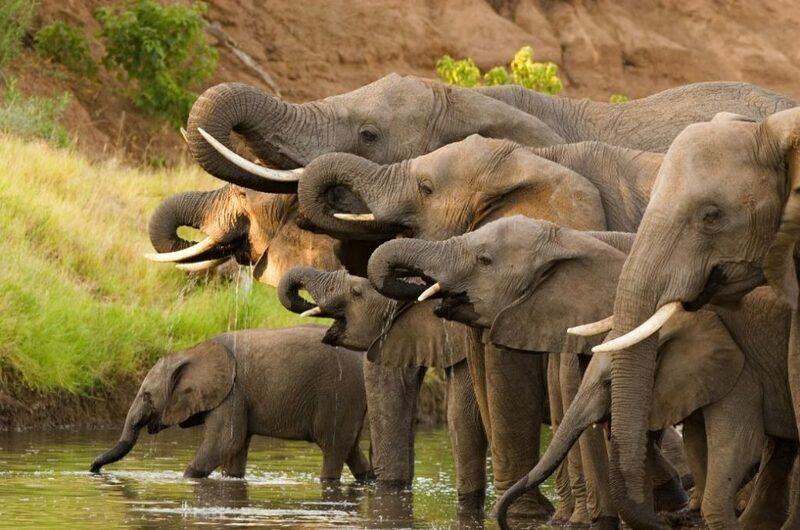 Elephant population is very intense in here –highest of the world – and an elephant can make 80 kilograms of stool. So you need to be careful while you’re walking. -Is there any snow in your hometown? -I’ve never seen real snow, only on TV. When it snows, kids play snowball right? -Yes, when it snows, snowball starts. – It is hot in here , there is no snow. But our kids play snow ball too some kind, they use this dung cake to making balls; it is dung ball though not snow ball! It is done when it is hot, it disperse quickly if it is cold. when the guy told these i got a vision of turkish children wishing it snows so they play snow ball and Botswanan children wishin an elephant come nearby so they play dung ball; i chose snow bal i don’t know if it is out of habit. “Quickly, enter the water.” After that he curses. I wanted to say “But, you said there are crocodiles in these waters, we must be careful?”. But it’s not that time. We dive into black waters. We don’t know what’s insde, it smells so bad but there are no other ways. We’re in the swamp until our bellies. The elephant can come in here. We run for the boat and our tracker leads us. For a moment I look behind, the elephant is happy to see us going. Without a move she looks at us in front of the crushed trees. When we arrive the boat, I couldn’t hear what people talk because of my heart’s voice. We take off the bounds of boat. The tracker starts the engine and says “Mother elephants can be angry. It’s not a usual thing.” and smiles. There are fishing enthusiasts in Okavango delta who came for fishing. Fishing in the middle of the wild nature, fifthy kilometers close to the nearest village is so calming. You can understand that from faces of fishers when they came back to camp at evening. Some of the names sounds similar: There a lot of pirhanas in here. If someone wants to go fishing, he must go with guides. 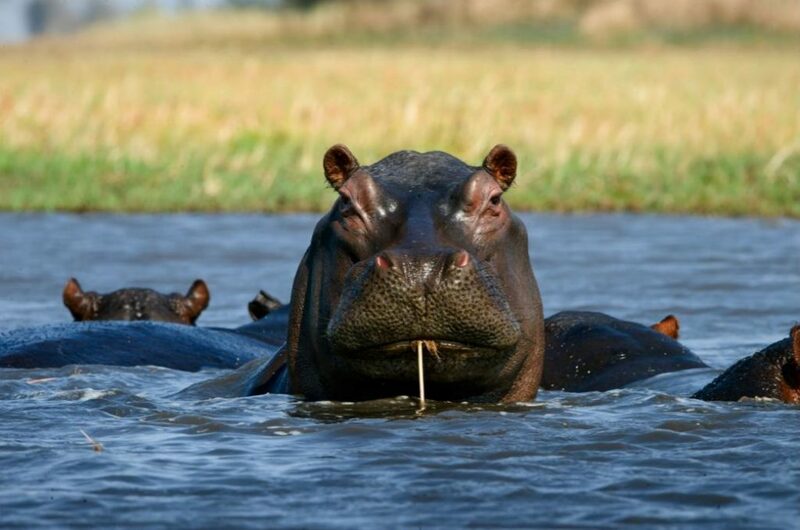 Because in some areas, crocodiles and hippos are dangerous for amateurs. A couple of fishing boats were collapsed so fishing alone is forbidden. While we were in the delta, I wanted to try. I’m an amateur but there were tons of fish and we had to throw back some to the water. After the four days in delta, I leave with mud in my shoes, hundreds of photographs in my camera and a whish to come here again in my mind.